Narsi Properties is a private family-owned Hotel Development & Management company based in North Carolina. Founded in 1978 on principles of trust, authenticity, and family, we take pride in our community, guests, and team members as the cornerstones of our company values. Our philosophy of positive reinforcement ensures a comfortable and unique experience for hotel guests, in turn reassuring our investors and stakeholders of our consistent reliability and superior performance. We partner with and invest in industry leaders such as Hilton Hotels, Marriott International, and Carlson Hospitality, because we aspire to work with and learn from the very best. We aim to achieve more, so that we can offer more to our guests and team members. It’s just another way we try to give back. At Narsi Properties, we recognize that our strength is in our people, and our values. We attribute our success to our philosophy of carefully calculated strategy, strong partnerships, proactivity, passion, and ambition. It is these ideals that guide us and drive us to be better than the day before. An entrepreneur with 39 years of real estate investment experience, Nagar is the visionary steering Narsi Properties towards success. 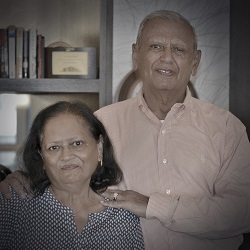 Nagar, with his wife Kusum, have successfully completed development of numerous hotel properties since 1978 when they acquired their first hotel – an Econo Lodge in Dillon, SC. 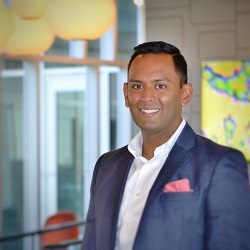 Growing up amidst the family real estate & hospitality business, Deven has experience in every aspect of hotel development and management, from housekeeping to sales to maintenance/engineering. Now responsible for all of Narsi’s developments & acquisitions, this valuable experience has served Deven well. A North Carolina State University graduate, Deven has earned a Bachelor of Science in Accounting & Business Management, as well as received a Juris Doctor from the University of North Carolina School of Law, and is a member of the NC state bar. 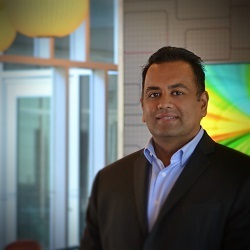 Neel has served in a multitude of real estate & hospitality capacities, including numerous positions with Hilton Hotels and Doubletree. This firsthand knowledge of the inner workings of hospitality management has come in handy, as Neel returned to the family business at Narsi. He oversees the day-to-day workings of all the properties, seeking strong revenues, solid bottom lines, and superior maintenance & management. A graduate of the University of North Carolina at Charlotte, Neel earned a Bachelor of Science degree in Business Administration. Raised in and around the real estate & hospitality industries, Rupal recognizes proficiency and efficiency when she sees it – and when she doesn’t. As the Director of Finance, she oversees and manages all of Narsi Properties’ corporate accounting, including corporate financing as well as day-to-day property accounting. Her analytical skills are critical both in operations and development, keeping projects on track, on time, and under budget. 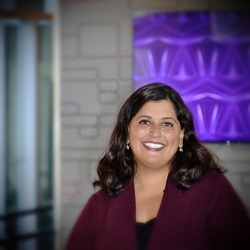 Prior to her career at Narsi, Rupal earned a Bachelor of Science degree in Business Administration, as well as a Masters in Business Administration from the University of North Carolina at Charlotte. An experienced business owner and operator of various restaurants and hotels, Chris brings a level head and balanced perspective to management, while maintaining an efficient, high-spirited, and positive company culture. His 32 years of diverse hospitality leadership includes operational oversight for hundreds of hotels, spanning 20+ states, over a period of five years. Hotels at which he has served in a management capacity have enjoyed a succession of awards and exceptionally high guest satisfaction. 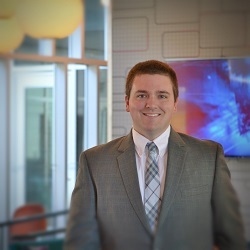 Beginning his career with at Bank of America, Brad moved into the hospitality industry as an accounting assistant. He quickly gained a deep understanding of hotel accounting and was promoted to property controller responsible for multiple hotels across the US and Canada. 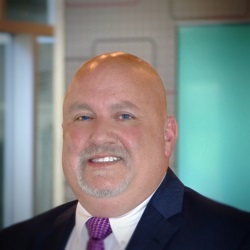 Brad joined Narsi as the controller in 2017 where he performs financial reporting, reconciliations, franchise invoicing, and property audits. A graduate of East Carolina University, Brad studied Construction Management and earned a Bachelor’s degree. Narsi Properties, goes above and beyond to honor military personnel on Veteran’s Day. For six years our Country Inns and Suites in Burlington, NC has rolled out the red carpet to any veteran, and his/her family, with a free-night stay, to pay tribute to their service to the country.